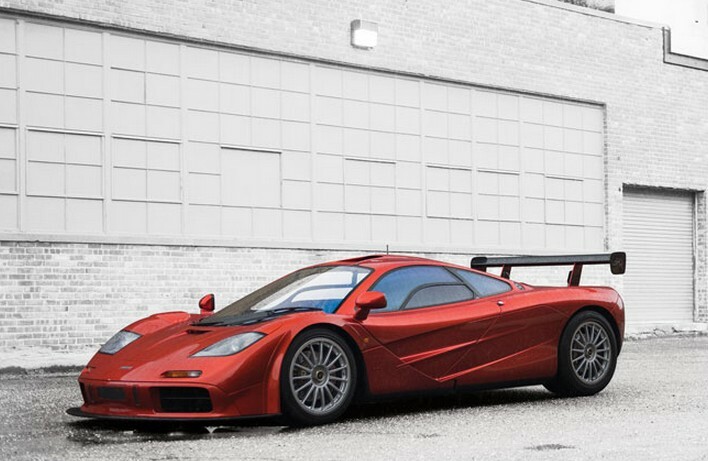 The McLaren F1 is the greatest supercar ever built. Period. It was the fastest car ever built for years after it was introduced (it is still the fastest naturally-aspirated road car ever built, nearly 25 years later) and it remains a singular achievement in the automobile world. They are so rare and unlike anything else built. Only 64 F1 road cars were built out of a total of 106. Seven were prototypes. Two were GTs. 28 were GTRs. And five were LMs. This car is the second-to-last road car built but it has since been upgraded to LM specification. It is not one of the original LMs. The LM was the road-variant of the GTR Le Mans racers. So McLaren has this program for people in the know (that is, McLaren owners) that allow them to bring their car to the factory to be customized (or upgraded) to suit their needs or desires. This F1 went back to the factory was given an LM-spec engine: a 6.1-liter aluminium V-12 making 680 horsepower. Only one other F1 road car has this engine. It also has some aero bits in the form of the Extra High Downforce Package which includes the front splitter, the rear wing and a few other details, including the wheels. This car is currently owned by its second owner. These have become so hard to come by and this one has the race engine and the road manners. It will command a huge sum. Click here for more info and here for more from this sale. This entry was posted in Uncategorized and tagged 1998, auctions, cars, f1, lm-spec, mclaren, rm sothebys, supercars by classiccarweekly. Bookmark the permalink.